ConvenienceBoutique Com The Original Clip On Spout Just $9.99! Down From $45.50! You are here: Home / Great Deals / ConvenienceBoutique Com The Original Clip On Spout Just $9.99! Down From $45.50! Sears has this ConvenienceBoutique Com The Original Clip On Spout on sale for $9.99 (Reg. $45.50)! 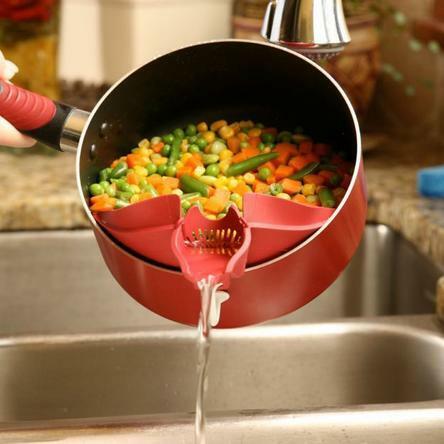 The original patented clip-on spout that easily attaches to mixing and serving bowls, pots, pans, skillets, and double boilers for mess-free, precision pouring and straining uses.